Firstly, congratulations to all of you. As a resident of Victoria, I am excited about the new council that has been elected, and delighted to see such a strong mandate for progressive leadership moving forward. This election was truly a referendum on the vision for Victoria, and it is clear that Victorians are looking to create a world-class city that is affordable. I believe that affordability goes beyond housing: it also extends to affordable access to recreation for everyone. Multiple studies have shown that access to recreation reduces obesity levels, protects against mental illness, decreases depression and anxiety, and contributes to healthier communities. These benefits should not be limited to those who can afford it. I presently live approximately 500 meters from Central Park. 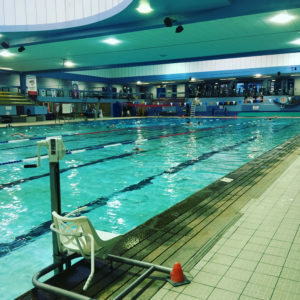 I am also a user of the facility, and I am writing to advocate for those who would be most affected by an extended closure of Crystal Pool and Fitness Centre: the most vulnerable members of our city, some of whom I have had the opportunity to volunteer my time with in a number of capacities over the past four years. I understand that the costs and benefits of several options for the construction of the new Crystal Pool and Fitness Centre are currently being studied in anticipation of the federal funding application deadline. facility was designed to be barrier-free and to have the least possible negative impact on citizens. More than 4400 people took part in this process, and 80% of survey respondents replied in favour of the current facility design. This design does not involve an extended closure, as it would be built on an adjacent site in Central Park. This current design meets the needs of the greatest number of people, and reflects the needs of a growing, healthy, community. The feasibility study noted that the facility has an unusually high rate of use compared with similar facilities in Canada: in 2015, Crystal Pool and Fitness Centre had approximately 400,000 visits. 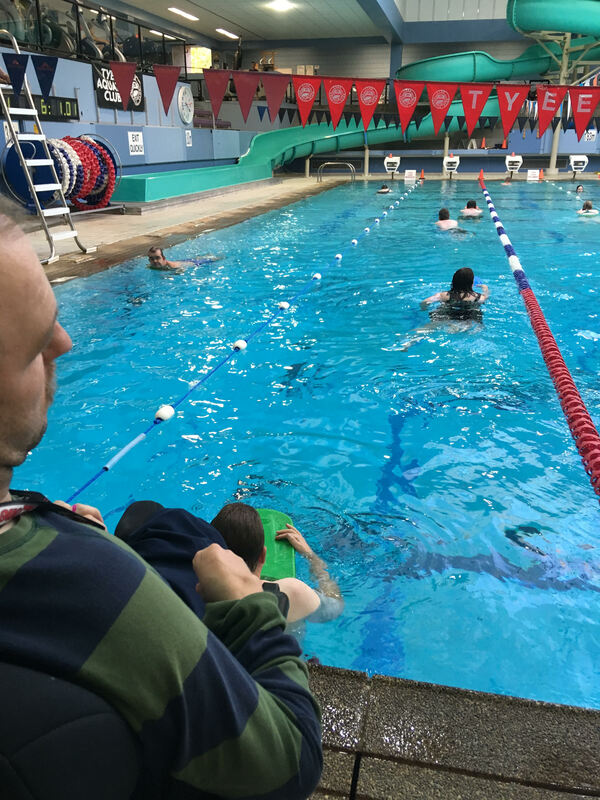 Further, the study notes that the total need for indoor swims in the City of Victoria market is 22% larger than what the current facility can accommodate. In other words, demand is currently exceeding supply. Given this, it makes little sense to consider closing the facility for an extended period of time. Moreover, the study notes that other facilities in the CRD, such as Saanich Commonwealth Place and Oak Bay Recreation Centre, have an even greater shortage of supply than does Crystal Pool and Fitness Centre. Consequently, it would likely be impossible for other CRD facilities to absorb all current Crystal Pool and Fitness Centre users. Another thing that was made clear during this process was that closing the facility for any length of time would be devastating for the community that depends on it; it is the only public recreation centre in the city of Victoria. Travelling to facilities outside of the City of Victoria is not an option for many people, and requiring those that can to travel would add to the cost of recreation, decreasing affordability. The facility, with its Life Passes for low-income residents, means the difference between access to recreation and a lack of access for many at-risk people. Additionally, the facility is home to the Special Olympics swim team. As noted above, other regional facilities do not currently have the capacity to absorb 400,000 visits from Crystal Pool, thus, an extended closure may leave this group pf people with nowhere to go. As a former volunteer for the Every Step Counts program (Cool Aid) and the Special Olympics swim team, I see the impact that access to recreation has on marginalized populations. Recreation is part of building community, managing mental health, and developing healthy habits. For many low-income residents, or people with disabilities, Crystal Pool and Fitness Centre is currently their only option for recreation and community. As an example, if you were to drop by at 5:30pm on a Thursday afternoon, you would see the Special Olympics swim community for yourself: dozens of people with mental disabilities gathering to enjoy both the company of their peers, and the benefits of recreation. Without the facility, this program, and many others, will be unable to continue. In sum, I urge the Mayor and Council to continue with plans for a new facility that will not involve an extended closure. I ask you to please consider the importance of access to the facility for low-income and marginalized residents when making your decisions. I fully agree. I use the pool regularly for exercise, and my fitness routine would be greatly impacted if the facility were closed for a long time. The annual closure in September is difficult enough. I also hope that the tennis courts will be rebuilt in another area during pool construction and not just eliminated, and that the area currently used by the rec centre will be converted largely into a park, playground, and/or a sports field–not a parking lot dead zone. We need more green space, not more parking and cars. Thank you. Thank you for your advocacy to council on behalf of the many people in Victoria who depend on the Crystal Pool for health, fitness training, mobility, pain management and wellness. As our city grows at an unprecedented rate, our recreation facilities must keep pace with demand. I find it difficult to believe that, after extensive consultations with patrons and the community, the future of a new pool is being taken back to the drawing board by council. The costs are mounting as progress is delayed and grant money is jeopardized. A decision was made to construct a new pool beside the existing one without closure during building. We cannot allow a small group of late-to-the-table nay-sayers upend a decision based on extensive preliminary consultations and approval.